We hope you are all safe and getting ready for Thanksgiving. Our past weekend we stayed indoors as the air quality in San Francisco has been really poor due to the fires in Northern California. Our prayers and thoughts go out to all the victims, both two and four legged. Before we start our thanks we would both like to thank all the first responders, non profit organizations and rescue organizations for the amazing work they have done this past year all over the world and now especially in California. Without all of your kindness, compassion and love the world would be a sad place as many of you show us all the time that there are good people in the world. Layla has decided to thank those that have helped keep her happy and healthy this past year with this letter. As I get older, and you can call me a senior if you want but Mom remember you are one too I would love to thank all those that have helped Mom keep me healthy and happy, in so many ways. 01. PAWS – The mission of PAWS is to preserve, support and nurture the human-animal bond for those most vulnerable in our community. You have been amazing to us in so many ways and no words can express our gratitude for all you have done, not only for me but for so many other pets. 02. Pet Food Express – An amazing Pet Food Store with branches all over California. Your giving back to the community is amazing, and what many do not know is that with fires raging at the moment they are giving out free food and supplies to all fire victims including dog washes if they need them. Thank you and that is the reason I love shopping at your stores. 03. Shalom Bayit – who have helped Mom through thick and thin since she ran with my sister, thank you from the bottom of my heart. 01. Mom – you are the greatest. You put up with all my quirks. your patience and love is amazing even when I am naughty but most of all thank you for being a good Jewish Mom and cooking my dinners and baking my treats. I am very lucky to have been rescued by you and would not give you up for anything. 02. Tropiclean – Mom calls me a Tropiclean baby as she uses all their grooming products on me only. Shampoos – the shampoos are fantastic and Mom uses on me the Papaya and Coconut all in one (shampoo and conditioner) so I always smell good after my bath. Papaya Spray Mist – which keeps me refreshed and smelling good in between baths especially when I have rolled in something icky and smelly in the park. Oxymed Products – When I have the itches then Mom turns to them to help sooth my skin and relieve me of the itches. Dental Products – my teeth are pearly white as Mom puts in my water the water additive minty flavor so I have a minty breath plus she puts in my mouth in the morning and evening their gel to keep my teeth sparkling. We love these products as they are easy to administer and the results are awesome. Ear Cleaning – I hate having my ears cleaned but let Mom do it and that way I get no infections as my ears are clean all the time. Tearless Facial cleaner – Mom does wash my face at the end of each day so I am a pretty clean pampered pooch. And the best part of Tropiclean is their dental chews which keep me busy when Mom is working and I know they help keep my teeth clean also. If you want to see what amazing products they have this is their link. Tropiclean gave me some of their products for this thank you review. 03. I want to thank everyone else that have shared their products with us for reviews this year and made our lives easier in so many ways. 04. I want to thank all my aunts and uncles in the dog park for being ATM’s when it comes to treats, that is the highlight of my day. And most important and before I go back to my morning sleep I would love to thank all my fur friends everywhere for following me on my blog with comments and discussions, you all are the greatest and make me smile every time. This entry was posted in Rescued Dog and tagged #animals, #dogs, #food, #pets, #thanksgiving by admin. Bookmark the permalink. Thank you for visiting my blog. Layla is such a little cutie. My thoughts also go to all those affected by the dreadful fires, and thanks to the responders and rescue organisations who are doing such a wonderful job in horrific circumstances. Did you know that Brian’s Home has a weekly Thankful Thursday blog hop if you wanted to join it? I was going to give the link to this week’s Thankful Thursday but it won’t copy and paste here so have just left his blog url. Hi Hi and thanks for visiting us and giving us the blog. I will for definite go and check it out. Have a great day and be safe. That is a wonderful letter and a great bunch of things to be thankful for sweet Layla! Thanks for joining the Thankful Thursday Blog Hop! Layla your mom raised you well! It is so important to show gratitude, not only because it makes people feel good to hear a thank you, but it’s good for the giver’s soul as well. You’ve probably heard about what a difference it can make in one’s life to keep a gratitude journal and write down 3 things they are thankful for each day. I believe it keeps us calm and peaceful. Have a lovely weekend and remind your mom to give me her doggy latke recipe, Jack has never tried them before! You’ve done a great job thanking all those who have enriched your lives! I wish you both a very safe and happy Thanksgiving!! 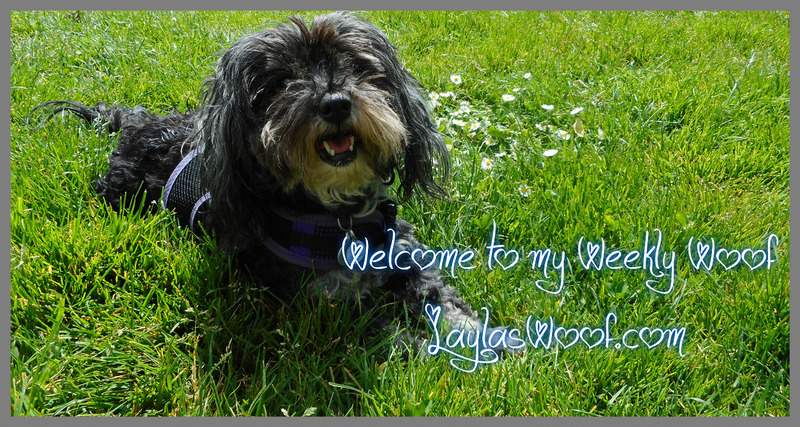 Layla, you are such a sweet girl. You have so much to be thankful for, and it’s so nice of you to say thanks to everyone that gives you a wonderful life. Happy Thanksgiving to you and your mom from all of us. You certainly do have a lot to be thankful for! What a nice post of gratitude. Happy thanksgiving Layla and Mom – hope you have a wonderful day! You have a mommy who takes a wonderful care of you. We are late catching up as just finished work but back to say thank you for the Thankful Thursday hop visit! The fires are desperate news and we have seen appeals for help finding cat owners on Instagram. 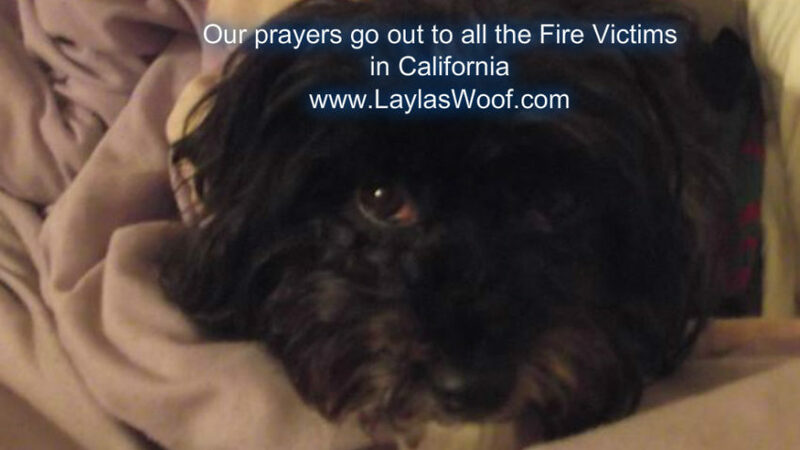 My heart goes out to all the people and animals affected by the fires. You have so much to be grateful for (as do I!) I hope you have a wonderful Thanksgiving! Aww what a sweet post Layla!!! I’m also sure mom is super Thankful to have you in her life too. You are each other’s rock. 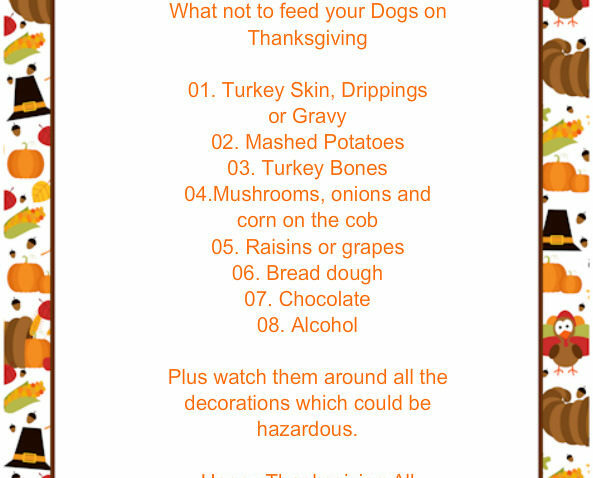 Great tips to share for Thanksgiving and keep pets safe. Pinning this post to share! Such a wonderful letter of thanks. It is a great time to sit back and really be thankful for all the good things, people, and pets in our lives. Our hearts are broken for all the people and animals the California fires devastated. We send all positive thoughts and prayers to all this Thanksgiving…with the hope that we can all remember to give thanks and a helping hand where needed. Have a safe and wonderful Thanksgiving Miss Layla and Momma! You have so much to be thankful for and I’m sure your mom is the main one!